Real Property Owners, Contractors, Architects, and Engineers are under tremendous pressure to innovate, accelerate project delivery times, and minimize costs. Also, all parties must implement methods to improve the customer experience of building users. Many AEC organizations find these objectives difficult to achieve. They remain plagued by low productivity, a low-bid/change-order mentality, and adversarial relationships among all construction project participants. As a result, building users are unsatisfied, facility management is treated as an expense versus an asset, and sub-optimal performance has become the norm. Solutions to the above problems have existed for decades. The are not, however, to be found in technology. Performance improvements are available via LEAN business process and associated collaborative construction delivery methods. The reason its hard for Owners, Facility Managers and AEC service providers to optimize operations is that collaboration, team leadership, and asset life-cycle modeling/management are not areas of core expertise. They were generally not part of their formal education, nor their professional training. Furthermore, the application of LEAN processes to Facility Management and AEC services requires deep visibility into workflows, tasks, and detailed costs. The latter is impossible without common terms, definitions, and data architectures, and reliance upon ad-hoc and inefficient manual processes that continuously “reinvent” the wheel, duplicate work, rely upon excessive management and control, and introduce variability. When core facility life-cycle management processes, players, and systems are not fully integrated and on-board, and competency is not present in each required domain, any measurable improvement in outcomes is extremely challenging. Integrated Project Delivery, IPD and Job Order Contracting, JOC are examples of efficient LEAN collaborative construction delivery methods than deliver on-time, on-budget, quality projects in excess of 90% of the time. This level of performance remains unmatched by traditional design-bid-build, CM@R, or design-build. Both have been available for consistent implementation for decades. Both IPD and JOC require an understanding of the challenges facing both Owners, AEC service providers, and building users. Better education and awareness is the only viable path forward. The good news is that both can be supported by technology to enable relatively low cost and consistent deployment. In short the adoption of collaborative LEAN construction delivery processes and an asset life-cycle perspective lead the transformation from wasteful, unsatisfactory outcomes, to economically and environmentally improved results. Ad-hoc practices are transformed into information-supported decision-marking that leverages multi-domain expertise and associated analytics,completely transparent, efficient and unified operations, and enhanced satisfaction for all stakeholders. The project delivery method ultimately determines the outcomes of renovation, repair, maintenance, sustainability and new construction activities more so than than any other single factor. 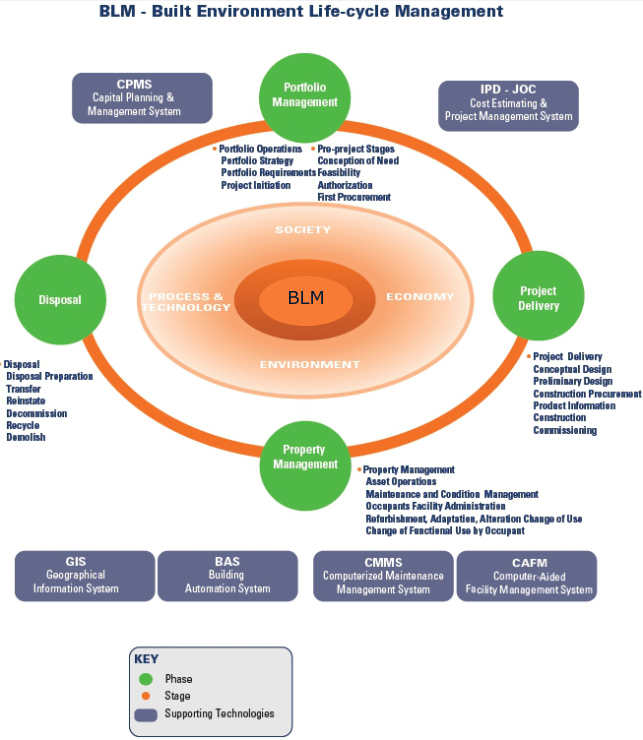 It is the project delivery approach that outlines how people, systems, business processes, and specialized knowledge domains are integrated to optimize value for real property stakeholders – real property owners, building/physical infrastructure users, architects, engineers, contractors, business product manufactures, oversight groups, and the community. Regardless of the LEAN construction method selected – for example Integrated Project Delivery, IPD for major new construction, or Job Order Contracting, JOC for renovation, repair, maintenance, or minor new construction – the primary focus is uopn highly effective collaboration between the owner, the architect, and contractor(s), etc. from conceptualization/early design through project handover and beyond. BEST VALUE procurement, shared RISK/REWARD, MUTUAL TRUST/RESPECT, and LONGER TERM RELATIONSHIPS are additional areas that differentiate LEAN collaborative construction delivery form tradition design-bid-build or even design-build, CM@R, etc. Minimum levels of owner CAPABILITY and LEADERSHIP, however, are required in order to implement LEAN collaborative construction delivery methods and achieve the associated benefits completing a significantly higher percentage of quality projects on-time and on-budget. Properly created and implemented LEAN collaborative construction delivery methods REQUIRE the owner, designers, engineers, and contractors to work collaboratively from project inception, to mutually establish the performance, budget and schedule within the constraints of the owner’s business model, and to TRANSPARENTLY share ALL information using common standardized terms and data architectures. While the Owner is providing LEADERSHIP and ultimate responsibility, the team is working together to manage efforts. Team are built and grow based upon Best Value, Qualifications, and demonstrated Success. Collaborative LEAN construction delivery method require partnering and collaboration contractually. Associated contracts and programs create incentives and consequences for collaborative participation or lack thereof. Joint decision-making with appropriate allocation and understanding of liabilities and impacts increase the likelihood of successful goal accomplishment. Key performance indicators, KPIs for LEAN construction delivery not only take into account progress of each party and/or competency (design, construction, engineering, procurement, etc.) 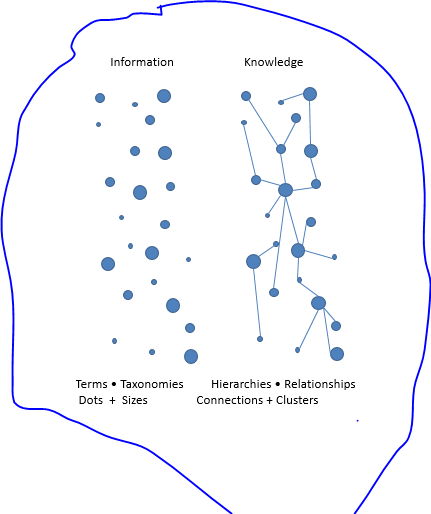 but associated interactions. Many owners, architects, engineers and contractors do not fully understand LEAN collaborative construction delivery methods, or their specific implementation such as IPD or JOC. Since any implementation of LEAN construction delivery is fundamentally different than traditional processes, attempting to implement LEAN without making internal business process changes commonly leads to failure. For example, some owners or JOC consultants/cooperatives implement JOC to simply bypass procurement and speed project delivery times. This is first and foremost typically against rules and/or legislation, but more importantly doesn’t afford program participants with JOC’s potential major benefits. Without 1) mutual respect and trust 2) mutual risk and reward 3) collaborative innovation 5.) team decision making 4) early and ongoing involvement of all key participants, standardized term, definitions, and data architectures, 6.) financial transparency, and 5) open and enhanced communication, LEAN construction delivery is not present. Certification, or at least ongoing education and training for LEAN collaborative construction delivery and dedicated implementation methods such as IPD and JOC should be practiced. While every Owner implementation has its areas of specialization, core processes remain constant. The success of LEAN construction delivery (IPD/JOC…) is ultimately based upon individual team member’s ability to make decisions collaboratively, Their ability to apply associated and supporting workflows, tools, data sets, and technology, and in general align the participating organizational cultures and business models of project/program participants. Of special note is the fact the teamwork should replace excessive management and control. It is the combined experience of the individuals and entities on the team that is important. The Owner is a key LEADER, a COACH, and a FACILITATOR with respect to the LEAN construction delivery process. This role can temporarily be fill by a consultant, however, for efficient and larger LEAN construction implementations, direct Owner participation is a REQUIREMENT. LEAN construction delivery is proven to be more productive and less costly than traditional construction methods. The perceived higher cost is a falsehood. Cost metrics should be focus upon total life-cycle returns and NOT first costs. Once change orders, legals disputes, and unacceptable quality levels are considered, LEAN construction can be 30% – 60% more efficient. Owners – Make your Contractors Happy! Poor productivity in the construction sector is a well known and persistent issue. The solution to delivery renovation, repair, and new construction project on-time, on-budget, and to the satisfaction of all participants is remarkably simple. Real property owners are ultimately responsible the construction sector’s low productivity. It is owners that provide inaccurate and/or vague project requirements, create/support excessive numbers of change orders, fail to treat their service providers with respect, and lack the requisite ability to implement LEAN construction delivery methods. Contractors are the construction experts. They simply need to be involved in the project early (from concept) thru hand-over/warranty period. Contractors expertise must be leverage without excessive management and control, however, continuous support and monitoring must be present…”trust but measure”. At the end of the day, both the Owner and the Contractor should have the same goals… completing a quality project on-time and on-budget. Both should anticipate a reasonable profit, and a potential long term relationship involving other projects. Construction, like most other complex business relationships, is relationship-based. As such, all involved parties must be competent in their area(s) of expertise, have shared goals, and engage in full financial transparency. Open line of communication – Confidence is established through open, transparent communications. Collaboration – This must be both part of the culture of all parties as well as mandated in writing. LEAN Construction Delivery Methods – Job Order Contacting, JOC, Integrated Project Delivery, IPD …. versus archaic, antagonistic, and unproductive design-bid-build, design-build, CM@R, etc. Focus upon Outcomes – Metrics, key performance indicators, KPIs. Leverage robust best management practices and business processes. Best value procurement versus lowest bidder. Supporting technology – Technology is NOT the solution, but should support robust, proven LEAN processes. Assure JOC Program Limits are established and observed for project type and size. Assure appropriate JOC Program Capacity – the number and size of JOC projects that can be properly managed by available resources. 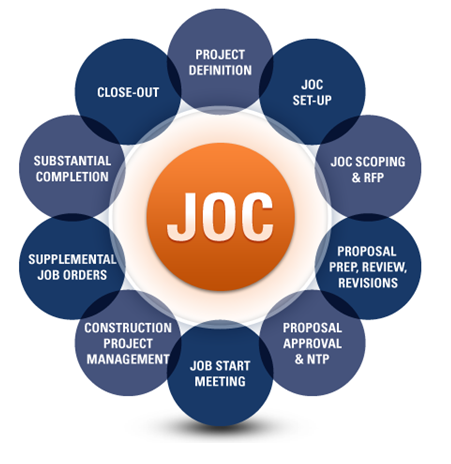 Establish a formal Prioritization Process for JOC Projects. JOC Criteria Checklist – Assure project meet established JOC criteria. Formalize and Document all JOC policies, procedures, or guidelines with a JOC Operations Manual associate with the Contract. Assure direct Owner involvement and direct Owner management versus the exclusive use of third party consultants whenever possible. Eliminate conflicts of interest, or any associated potential. Formalized Reporting and Audit Requirements. Owner review of ALL Contractor estimates. Update Contract information and Terms Regularly and assure compliance with Federal, State, and Local regulations. When Non-Prepriced Line Items are used, require three independent quotes for associated items. Assure the Unit Price Book – UPB – selected has Clear and Consistent Descriptions written in a manner that all JOC participants can easily understand. Assure any Owner Preferred Products or Materials are contained within the Unit Price Book. Formalized Project Inspection and Project Closeout Processes and Procedures. Assure that JOC Technology maintains a Complete Record of all Information and does NOT allow for permanent deletion of information. Full disclosure of subcontractor information. Do not allow consultants to manage themselves. While use of consultants may be necessary, there are substantial risks associated with allowing consultants to have total control over a project with little to no Owner oversight. (Example: A consultant acting as JOC project manager, reporting to a consulant managing the JOC program.) Do not allow multiple consultants from one consulting firm working in different capacities on the same project. Many, if not most, public sector Owners, Contractors, and AEs use RSMeans Cost Data for cost estimating and associated project management. Unfortunately, many/most of these same organizations don’t accomplish these critical tasks efficiently, or accurately. 1. Use the best representation of RSMeans Cost Data available. 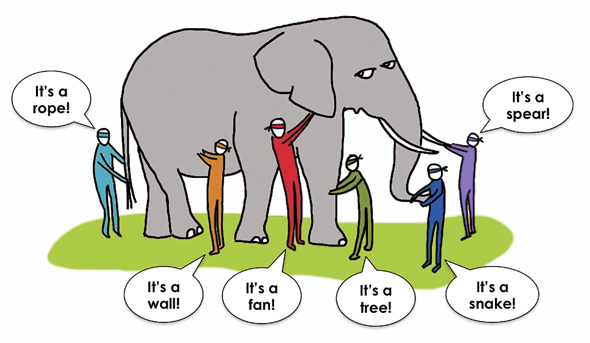 Not all electronic representations of RSMeans cost data are the same. 2. Continuously improve your understanding of RSMeans Cost Data and how to best apply it to construction cost estimating for either budgetary or project purposes. Attend training from experts who have not only used RSMeans Cost Data for decades, but who understand construction and project management from both an Owner and Contractor perspective. 3. Focus upon collaborative construction delivery methods that provide benefits for ALL parties involved… Owners, Contractors, Subs, AEs, Building Users, Oversight Groups, and the Community. 4. Leverage technology that embeds “best practices” and supports LEAN principles. Use technology to reduce implementation costs, share/re-use information, drive consistency and transparency, and monitor performance. Technology is a tool, an enabler… it shouldn’t limit your capabilities. 4Clicks has been in recent communications with Arizona State University’s (ASU) Performance Based Studies Research Group (PBSRG) about a planned JOC Research Study. We are excited about the potential to document the value associated with JOC vs. traditional construction deliver methods. Study areas will include cost and time savings and increased flexibility among others. Publication of the final report is targeted for January 2016. While we are in the early stages of learning more about the study, we are encouraged by the capabilities of the researchers and the potential value of this study. Owners, Contractors, and Service Providers experienced with JOC will be encouraged to share their knowledge and experiences. The initial announcement and additional information are included below for your review. Please feel free to contact us with any questions. About PRBSRG: The Performance Based Studies Research Group (PBSRG) is a group of researchers and educators at Arizona State University that focus upon “Best Value Models” consisting of three main phases: Selection, Pre-Planning & Quality Control, and Management by Risk Minimization. via http://www.4Clicks.com – 4Clicks Solutions develops and delivers a comprehensive suite of construction cost estimating and project management software to connect people, information and processes – anytime, anywhere. The Performance Based Studies Research Group (PBSRG) out of Arizona State University (ASU) is currently conducting an industry wide study evaluating the Job Order Contracting (JOC) delivery system. The finalized study, anticipated to be released in January 2016, will document the value that comes from JOC as a procurement method, regardless of system utilized. PBSRG is requesting participation and support from Owners, Contractors, and Service Providers by providing project information collected while using the JOC system. Time commitment is expected to be minimal for participants. Objective of Research: To evaluate the value (in terms of time, cost, and customer satisfaction) achieved when utilizing JOC over other traditional methods to complete projects. Previous JOC studies have been unable to identify the savings JOC brings to an owner through administration costs, time savings, and increased flexibility to achieve organizational objectives. They have also failed to identify why contractors under the JOC system are able to deliver construction for a lower cost and why they are motivated to deliver high quality to the owner. The aim of this study is to work with JOC users to identify this. The study also hopes to identify characteristics and practices of successful JOC implementations. At the conclusion of this study a report will be published through Arizona State University identifying the findings of the JOC system. The PBSRG out of ASU will be collecting and analyzing all JOC performance information. PBSRG will keep all data collected confidential unless given permission to share with other parties. Participation: The JOC contractor and owner community is highly encouraged to participate in this study. Owner’s that participate in this study will be kept abreast of developments and be offered education on the findings of the study. Contractors who participate will be able to use the performance information and the education that comes from this research. Distribution of Research: The results of this research will be distributed to all participants. It will also be made available to the public at no fee. What is Job Order Contracting / JOC?